MEMS technology is rapidly becoming a technology we cannot live without. 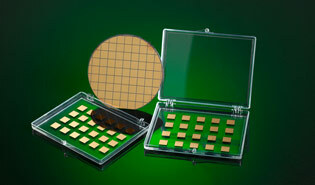 MEMS devices are dominating the market and enabling new innovative technology products. From the MEMS pressure sensors used in modern automotive manufacturing to the accelerometers found in your cell phone, there is no doubt that MEMS are going to be a big part of our future and Rogue valley Microdevices is ready. Specializing in MEMS and Biomedical Device fabrication, Rogue Valley Microdevices is a full service MEMS foundry that combines state-of-the-art process modules with the engineering expertise to seamlessly go from custom design to device manufacturing. 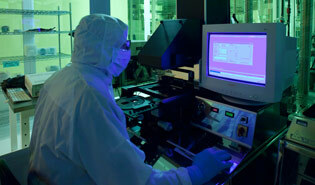 All front-end processing is performed in-house and under the supervision of our experienced process engineering team. With an extensive list of process capabilities, our MEMS Foundry eliminates the need for customers to use multiple suppliers. Maintaining all MEMS process capabilities in-house enables us to decrease manufacturing lead-times while improving device yield and performance. We strive to provide you with Superior Quality and Customer Service. The following are just some of the core competencies the Rogue Valley Microdevices MEMS Foundry has to offer.